Q: When will I be able to walk after my Total Knee Replacement Surgery? Total Knee Replacement Surgery is done mainly so that the patient can walk pain free. Walking is immediately started on day 2 after surgery. Initially a walker is used as an aid but over a period of two days the patient is made to walk with a tripod stick. Most of Knee Specialist in Mumbai, Dr. Amyn Rajani's patients get rid of the tripod stick about 7 days after surgery. There will be a feeling of newness/discomfort with the new Knee for a period of one month after surgery. These symptoms will gradually reduce every day and the patient will be absolutely comfortable by the end of one month. Q: When can I go out after my Total Knee Replacement Surgery? As mentioned that the patient can walk on the 2nd day of the Total Knee Replacement Surgery and discharged on the 4th day. A physiotherapist from the team will visit the patient’s house for the rehabilitation. During these knee physiotherapy sessions, the therapist will make the patient gain confidence by taking him/her for walks in the compound of the residential building. Going out individually should be started after removal of sutures and gaining good confidence. This generally happens around the 15th to 16th day after surgery. Q: Can obese people undergo successful Total Knee Replacement? Although Knee Replacement in obese patients is logistically, anesthetically and surgically more difficult, with additional risks involved, the functional outcome of Knee Replacements in obese people appear to be satisfactory. Q: When can I resume my sporting activities after Total Knee Replacement? Low impact activities like golf, bowling, tennis, table tennis, and ballroom dancing are permitted after muscle strength has been recovered. Recommended activities: Cycling is an excellent aerobic workout, swimming, low-resistance rowing, walking, hiking and low-resistance weightlifting are all excellent ways to maintain fitness without over-stressing the implant. Discouraged activities: In general, patients who have undergone Total Knee Replacement should avoid high-impact activities that cause high stress loads on the implant and therefore may increase the risk of early failure. Activities to avoid include baseball, basketball, football, hockey, soccer, high-impact aerobics, gymnastics, jogging, power lifting, rock climbing, hang gliding, and parachuting. Q: When can I drive after a Total Knee Replacement? You may be able to drive 2 to 4 weeks after your operation, or even earlier, depending on your general health, mobility, the range of movement of your replaced Knee and muscle strength. If your left Knee has been operated and you are driving an automatic car then you may start driving by about 2 weeks. But if you are driving a manual car then you should ideally wait for about 4 weeks after surgery. Q: When can I fly after a Total Knee Replacement? Most of our international patients fly back to their country in about 2 weeks After Total Knee Replacement Surgery. We use mechanical prophylaxis till the time the patient is not mobilized in the hospital. After which oral prophylaxis is started and maintained for 2 weeks or till the patient reaches his/her country. 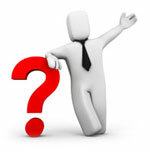 Q: Dental treatment after a Total Knee Replacement? The routine administration of prophylactic antibiotics for dental interventions to prevent haematogenous spread of infections to prosthetic joints is a contentious issue. There is a lack of robust evidence linking dental procedures to an increased risk of infection of prosthetic joints. Antibiotic prophylaxis has not been shown to effectively prevent dental-associated infections. Basically, there is no evidence to link prosthetic joint infections to dental procedures and none to prove that antibiotic prophylaxis is effective but invariably before any dental procedure our patients are advised to take prophylactic antibiotic cover.